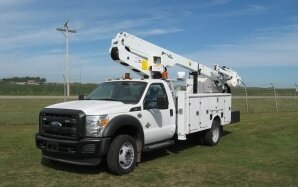 aerials and material handling aerial lifts for what is better known as a bucket truck. 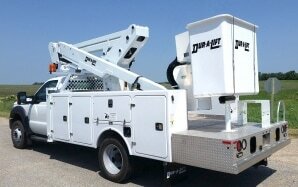 Reach really high with a telescopic articulating personnel bucket truck from Dur-A-Lift. 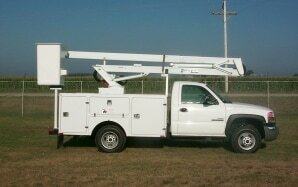 Available with working heights up to 59 feet an in insulated or non-insulated formats. 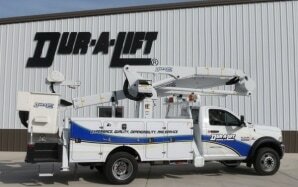 ​Reach really high and lift a whole lot with a telescopic articulating material handling bucket truck from Dur-A-Lift. Working heights up to 59'. 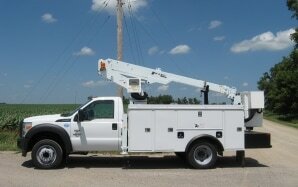 The telescopic personnel bucket trucks feature a compact design that allows you get to those hard to reach places. Boom extends out 120". Available in insulated and non-insulated formats. The telescopic material handling bucket trucks let you get to those hard to reach places. Boom extends 120". Insulated, non-insulated formats. Our telescopic personnel bucket vans feature tons of secure storage options. 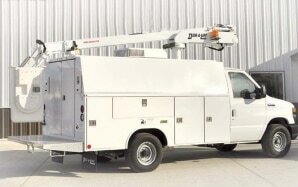 The DVS series vans feature a basket capacity of 350 pounds and working heights of 34 feet. Our articulating personnel bucket trucks feature a compact design with the ability to reach over obstacles and barriers. Working heights up to 41'. Insulated, non-insulated formats.